Our teachers share their love for music and a commitment to making learning an enjoyable, satisfying process. We hope to instill a positive spirit while taking on the challenges of developing your new skills and a life long love and appreciation for music..
Flute, Beginning Piano & Guitar Heather holds a Bachelor of Music Degree for Music Therapy from the University of Iowa. Much of her work experience has been with people of varied developmental and learning challenges. Her specialty is developing adaptive, one on one lessons. She is especially good with younger children and those with special needs. Piano - Todd is a highly accomplished piano player who has performed and recorded with local legends Prince & Alexander O'Neil. 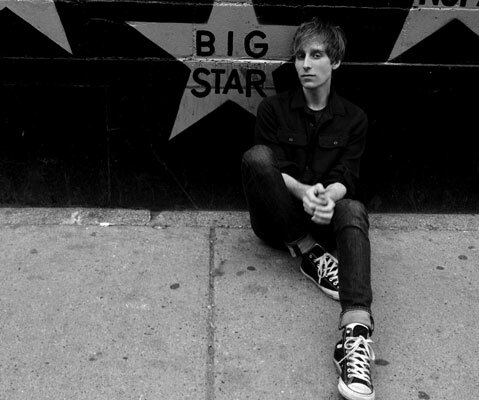 Todd currently performs with the popular local bands, High & Mighty and the BKS Vine. Todd is a seasoned and easy going instructor comfortable with young beginners and more advanced students. Todd is is especially good teacher for students who want to learn jazz improvisation techniques and jazz/pop "comping" from a chord chart. 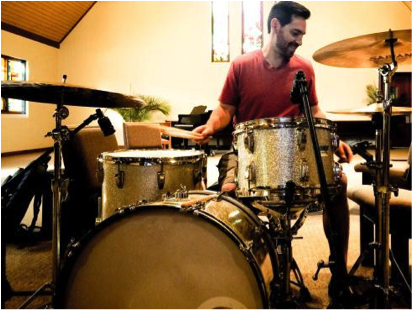 Drums, Piano, Applied Theory -Jordan has been performing and teaching music in Minneapolis for the past 15 years. While drums is his primary instrument, Jordan also spent several years studying marimba and vibraphone (a big piano that you hit with mallets!). His teaching philosophy is to balance classic, time tested approaches along with incorporating the students' musical interests. 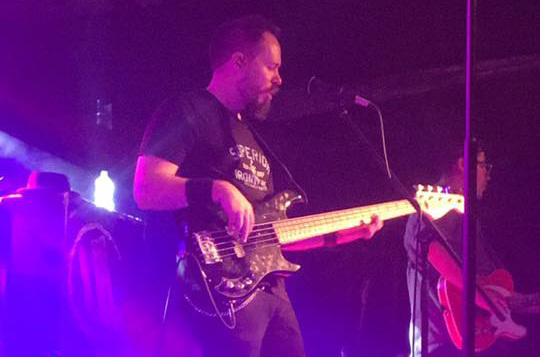 You can catch Jordan playing with many acts in the Twin Cities, including singer/songwriter Martin Zellar, country artist Chris Hawkey, and reggae veterans Les Exodus. He holds a BA in Music from the University of St. Thomas. 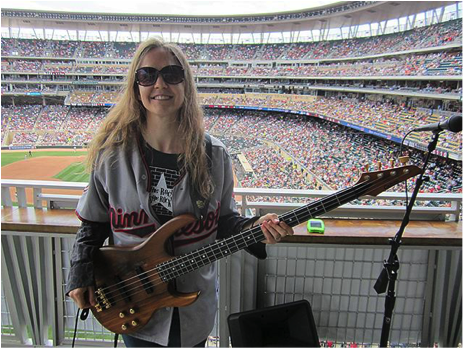 Guitar, Bass, Piano - Jenny Case is a Minneapolis-based singer/songwriter skilled in many instruments including bass, guitar, keys and vocals. She has played professionally around the Twin Cities and surrounding midwestern regions since 1991 in many rock/alternative/experimental/variety bands and in many shows and productions. She's been teaching private guitar, bass, vocal, piano, songwriting and recording lessons for the past 24 years, as well as coaching group classes and instructing at rock music day camps. A professionally trained vocalist, you can hear her voice on radio and tv commercials for Wisconsin Dells and Treasure Island Casino. 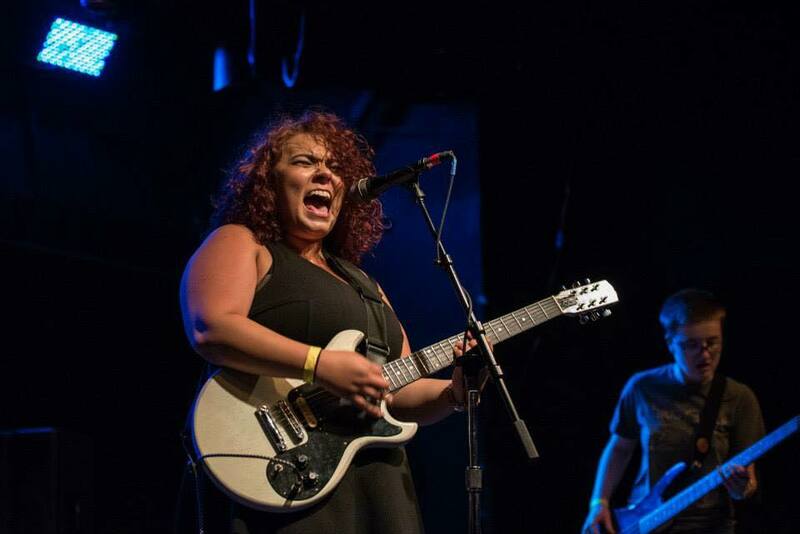 She currently is a founding member of the non-profit organization, She Rock She Rock, and co-hosts an all-female jam every other month at The Depot in Hopkins. She is a staff songwriter for the Songs of Love Foundation, a member of the ICS songwriting club Bulletlodge, and is the founder of MN's first rock camp for girls; Girls Rock N Roll Retreat! Piano, Guitar, Bass,Trumpet, Trombone -Benji is a multi-instrumentalist, music producer and artist specializing in piano, guitar, bass, contrabass, and brass instruments. He has earned a BA degree in music from the University of Minnesota and has taught music for over 10 years in the Twin Cities. 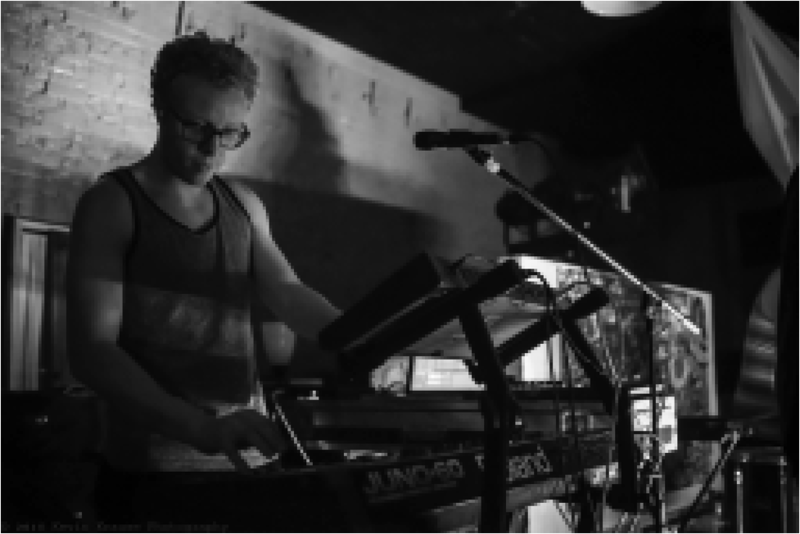 In addition to teaching, Benji performs with various ensembles throughout the Midwest and produces and mixes music for recording artists, film, and theater in a variety of genres. Using this diverse background, Benji’s teaching method taps into students’ musical interests and passions and creates a motivating and exciting curriculum unique to each student. 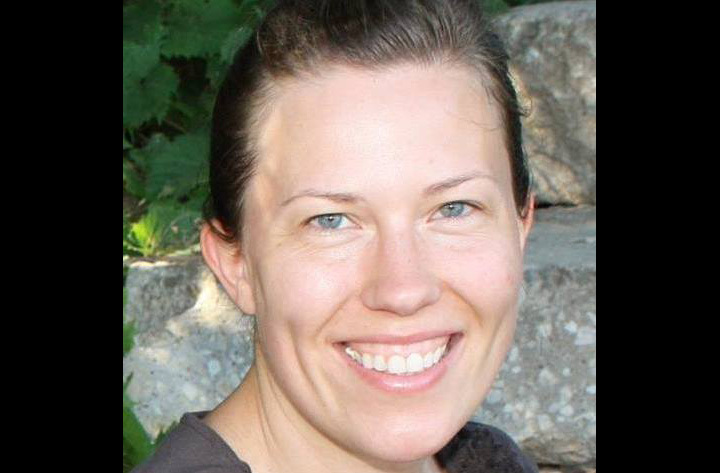 Voice, Piano, Guitar, Songwriting -Debra G has a degree in Vocal Performance from the University of Oshkosh, WI. In college, she studied Opera, Lieder Song and Classical Recital music and performance. Since then, Debra G has challenged herself to use these skills to become a versatile performer and music coach. She has been teaching vocals, piano, guitar and songwriting for over 10 years. Debra G has been a professional performer and recording artist for over 15 years. She has toured with Nicholas David, a season 3 finalist from NBC's hit show "The Voice". While on tour with Nicholas David, opened for The Avett Bros performing in venues like the Key Arena in Seattle, Santa Barbara's Bowl and America's Cup Pavilion in San Francisco. Debra G has performed overseas for the U.S. Air Force stationed in Doha, Qatar. She's played the role of Ms. Pennywise in the Tony Award winning Broadway musical "Urinetown, The Musical" at the Whitney Fine Arts Center. 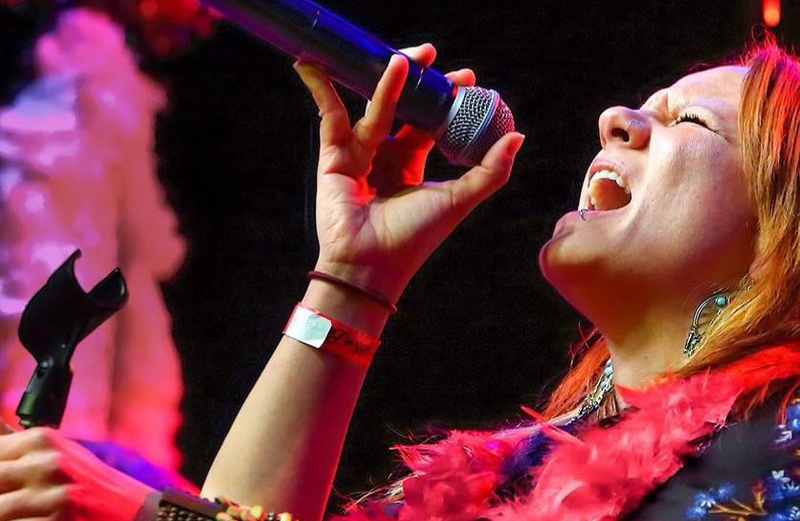 And, Debra G performs as Janis Joplin in the annual "Happy Birthday, Janis!" A Tribute to Janis Joplin concert at First Ave in downtown Minneapolis. Debra G is very excited to join the House of Music family! Guitar, Voice, Ukulele, Bass, Beginning Drums, GarageBand Recording & Songwriting -Hailey Jacobsen is a Minneapolis based singer/songwriter and specializes in many different instruments. She has been playing guitar for 12 years and has performed in many rock, alternative and pop bands throughout the Midwest for the past 8 years. Hailey has taught private lessons and also group lessons for the past 7+ years through the non-profit organization, She Rock She Rock. She believes that playing music & writing songs are the most powerful forms of expression and no two lesson plans should be the same as no two students are the same! Flute, Saxophone, Clarinet, Voice, Beginning Piano - Maurice started acting and playing music professionally at age 15. He has worked with musicians such as Bonnie Raitt and Willie Murphy and performed at the Guthrie, Dudley Riggs and much more. His list of musical experiences is endless! He won the MN Music Award for Best Jazz Musician and named best male vocalist by the City Pages in 2004. Maurice is an active and diverse performer who you might find as part of a funk and soul horn section, singing and fronting numerous dance bands, to taking on the lead role of his critically acclaimed Nat King Cole Tribute show. Overall, Maurice is an R & B, jazzy kind of performer that screams "SOUL!" 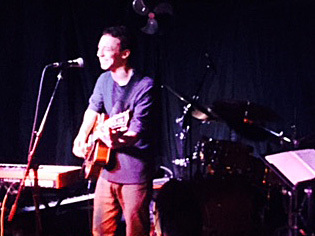 Guitar, Songwriting, Theory, Beginning Piano -Mitchell Johnson is a songwriter and multi-instrumentalist based in Minneapolis. He graduated from St. John's University with a degree in Instrumental Music Education with a focus on guitar. 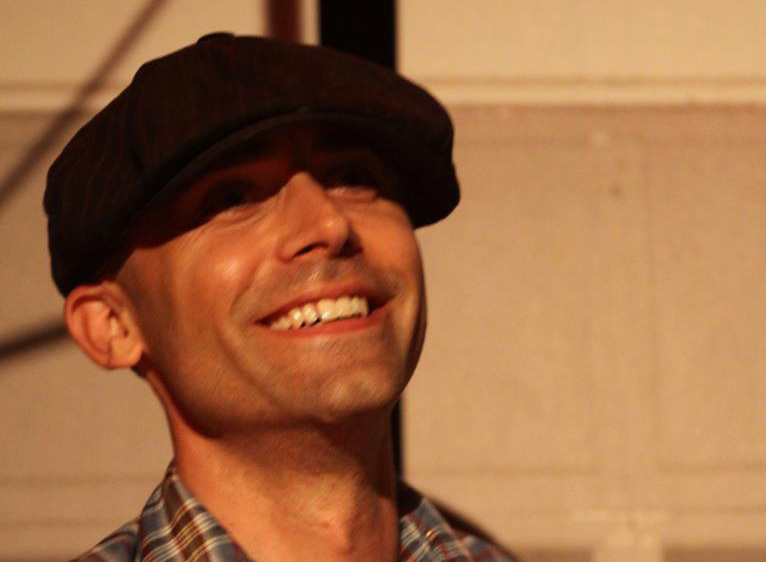 Mitchell teaches at Southwest High School where he leads the Songwriting Club and works with small guitar ensembles. This is his first year with House of Music. Guitar, Dobro, Lap Steel, Pedal Steel, Bottleneck Slide, Banjo, Mandolin, Bass Guitar & Ukulele -Tom is a multi-instrumentalist who teaches, performs, arranges and composes in a diverse field of genres like: rock, jazz, hip-hop, classical, bluegrass, blues and country. Johnson started performing and teaching lessons when he was 17 years old. 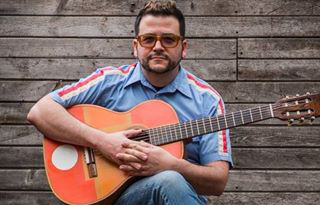 He has shared stages all over the world with acts such as: Bob Dylan, Dessa, Kid Rock, Buddy Guy, Bob Marley's Wailers, Nitty Gritty Dirt Band and Trampled by Turtles. He received his B.M. at Minnesota State University Moorhead, where upon completion of the degree was hired on as faculty for jazz guitar. Johnson is currently at work on his M.M. in guitar pedagogy at the University of St. Thomas. Voice, Guitar, Piano & Ukulele -Kara was born and raised in Minnesota. She picked up guitar at age thirteen and fell in love with playing, singing, and writing songs. Kara participated in her high school concert band as a percussionist and also sang in choir. After graduating high school, Kara decided to fully pursue her dreams in music by attending McNally Smith College of Music earning a Bachelor of Music in Vocal Performance. Kara has performed at venues including The Fine Line, The Cedar Cultural Center, 7th St Entry, and Hell’s Kitchen. Working with and teaching youth is one of her greatest passions and Kara loves to share her musical gifts awith children, teens and adults interested in improving their voice and learning guitar or ukulele. 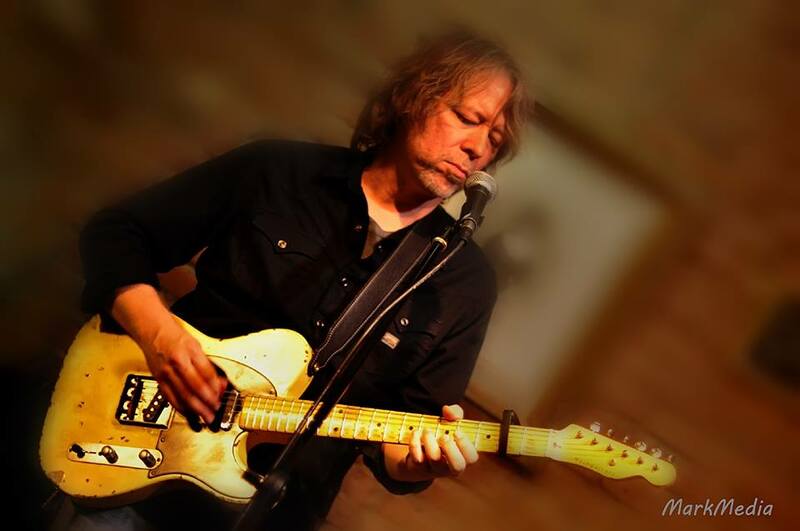 Guitar, Music Theory, Songwriting -Brad is a transplanted guitaris/teacher/songwriter from Dallas, Texas. He spent many years touring with various bands and even made a couple of appearances on “The Tonight Show” and “Austin City Limits” with Texas recording artist Sara Hickman. 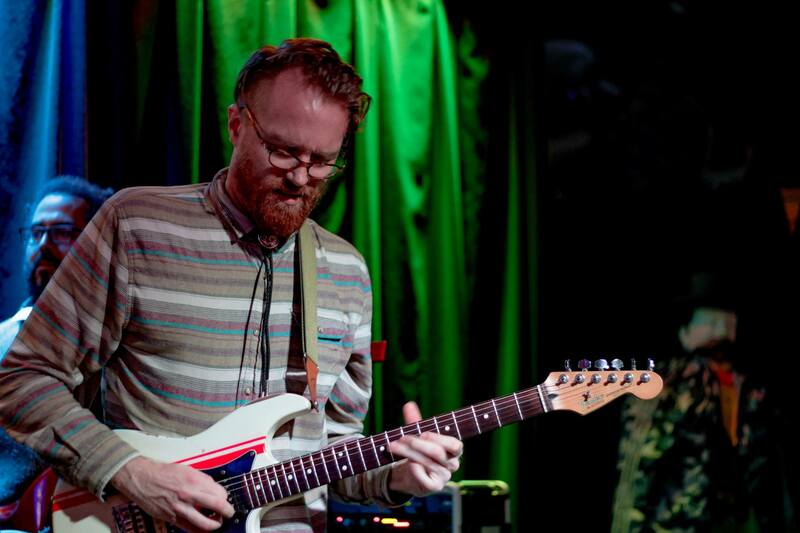 With a degree in Jazz Studies from the University of North Texas, Brad is excellent at teaching a wide range of styles including rock, blues, folk, jazz, classical guitar, theory, songwriting and improvisation. Brad is great with kids or adults and will develop lessons specific to each student and style! Drums, Beginning piano and Electronic Music Production -Matt has been playing and teaching music professionally for over 20 years. His teaching approach revolves around each student's unique needs and motivation for learning their chosen instrument. Matt creates weekly goals, individualized lesson plans and strives to inspire a love of learning through music. Suzuki Violin -Jonathan Reaoch has a contagious passion for violin. 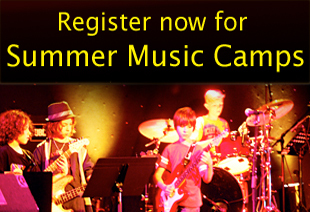 In every lesson (regardless of the student's age or current skill level) he offers inspiration and expert guidance, empowering students to discover new depths of their own musical artistry and self-expression. Jonathan holds a Bachelor of Arts degree in Music from Wheaton College in Illinois and has extensive teacher-training in both Suzuki and traditional methods. As a performer, Jonathan has experience in a wide range of styles, including classical, pop, folk and jazz. Along with teaching violin lessons at LHHM, Jonathan also directs a Suzuki violin school - the Twin Cities String Academy. If interested, LHHM students may inquire about joining group violin lessons with the Twin Cities String Academy. Jonathan welcomes new beginners as young as three years old. Piano, Guitar, Bass, Drums, Vocal coaching, After school rock bands, Composition, Arranging, Production -Charlie sees himself as a lifelong musician and he enjoys sharing his passion for music with his students. He has played piano since age six and he holds a B.A. in music from Grinnell College. He has taught at the House of Music since 2011, where his method focuses on technique, rhythm, creativity, and musicianship. He encourages students to find their unique voice on their instrument through working on songs that inspire them. He feels the best way to foster musical growth is to show students the fun that music can provide as both an independent and a group activity. He believes the power of music lies in its ability to bring people together and he encourages his students to perform as much as possible through leading bands and hosting open mic nights. Piano is his primary instrument, but Charlie also sings and plays guitar, bass, and drums. He similarly enjoys helping his students explore multiple instruments. His own musical interests have no boundaries, ranging rock, pop, blues, jazz, classical, folk, hip-hop, R&B, electronic, and world music. 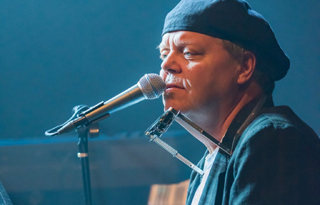 Charlie has played with many bands in Minneapolis, between which he has released 4 albums, played at noteworthy clubs like First Avenue, and toured the country. 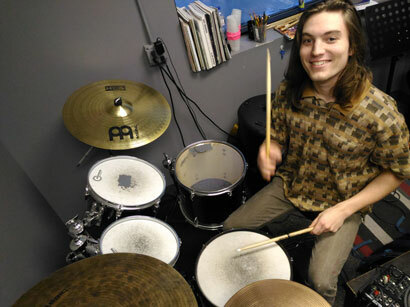 Drums, Guitar, Bass -Alec Tonjes is an up-and-coming musician and teacher in the Twin Cities. Alec attended the Mainstreet School of performing arts and Perpich Arts High in Golden Valley where he was able to get an early start on his musical education. He then went on to study at McNally Smith College of Music where he received The Marv Dalghren Scholarship for Excellence in Percussion, an Award given to incoming performance majors. Alec has been actively teaching since 2013 and has taught a wide variety of students, from 4 to 65 years young. Alec also has experience teaching students with disabilities and is able to work lessons around your child's needs. Comfortable teaching most genres of music, Mr. Tonjes is proficient not only in drum set, but also guitar, bass and the basics of hand percussion and bell percussion (Xylophone, Glockenspiel, Vibraphone,etc.). 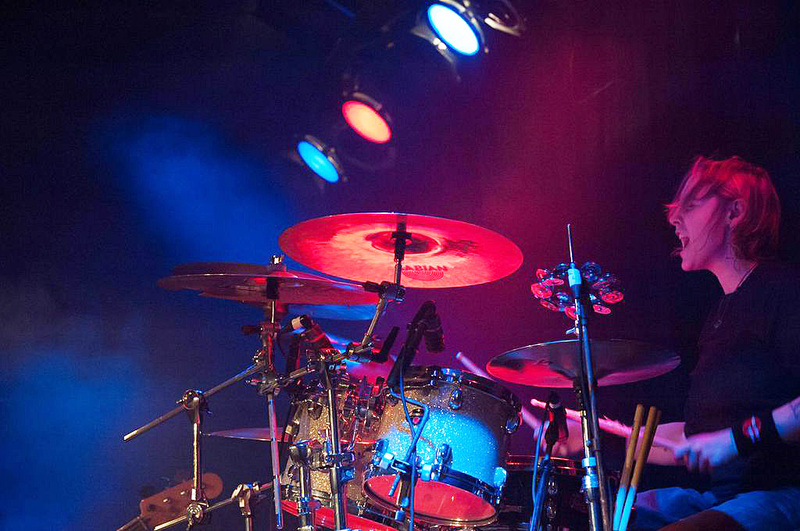 Drums, Beginner Guitar -Leigh Underwood has been drumming since the age of 7 and has played professionally for 13 years! Her first notable band was Opium Symphony hailing from Dallas,TX who toured nationally and earned the chance to open for Perry Ferrell of Jane's Addiction at the well known SXSW Music Festival. Leigh has continued her drumming in the Minneapolis area since 2009 with local artists the Fool Fighters, a tribute to the popular band Foo Fighters, original progressive rock band Bilderberg, and as of recently progressive metal band Nopathy. Aside from drumming Leigh also has worked in drum shops/music retail for over a decade and has done tech work for a national band. She's taken on a passion for teaching since working with the She Rock She Rock organization for the last 5 years, and on top of working in their camps has taken on many private students. 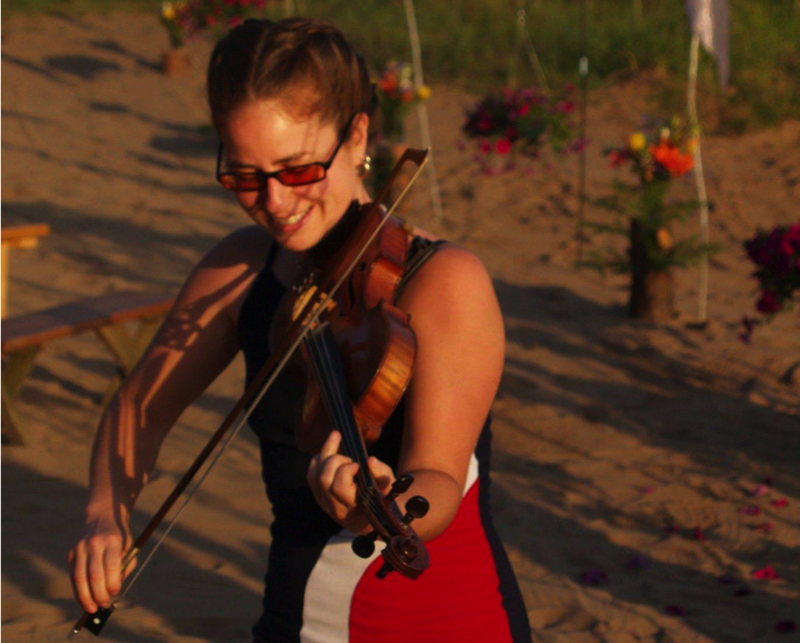 Violin, Fiddle -Sarah has been playing violin since the age of four, both solo and with groups, performing everything from JS Bach to Lady Gaga. Her training in the classical performance, improvisation, and various styles of fiddling allow her to blend a custom teaching method for each student. Her career in architecture and participatory art helps students integrate music into their everyday life. Having taught children and adults, Sarah will creatively develop a lesson plan to help students identify and work towards musical goals.